Dressed up like a dog's dinner they were! Flo and Lucy arrived at the wedding in style. Said a teary-eyed wedding fan: "They looked loverly, bless 'em!" Personally, I think that Flo and Lucy carried off the look so much better. You both look dahling! Flippin 'eck...it's May already and I haven't penned a witticism, ironic commentary, or posted a hot Brit/US topic yet this month! Get it together woman...what are you...a blogger or something? So, one of the things I plan to feature on California Celtic is the abundance of British and Irish pubs to be found having a lark on various street corners in and round the Ventura and L.A. counties, from the Cat and Fiddle on Sunset Blvd, Hollywood, to Dargan's in Downtown Ventura, (yes, they lurk further afield - but let's start small and sup our way beyond So Cal sometime after closing time). I can't possibly review all of the fine establishments all by myself, much as I would like to and would certainly give it a right good go, but the cost of a pint, not to mention gas right now, could cause a serious dent in my Scotch Egg/ManiPedi budget. I have a promise from a fellow Brit to take on the arduous task of ordering a pint of black and tan, and a ploughman's lunch at the odd (or even oddest) Brit pub and to let me know how it went in words of more than 3 syllables. 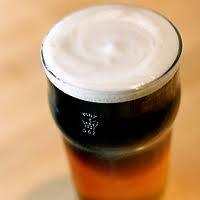 Try that after a shandy. So, keep an eye out for the Pub Reviews - we shall try to be fair, but honest...if the ploughman's is missing the pickled onion, the beer garden has been feng shui'd, or the Walker's crisps do not come in salt and vinegar AS WELL AS cheese and onion flavor...then all you Anglophiles, transplanted Brits and barflys will know. 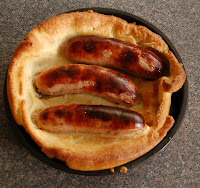 Same goes if the dart board is authentic bristle, the beer is properly warm or the toad in the hole is light and fluffy...yet strangely crispy at the same time.